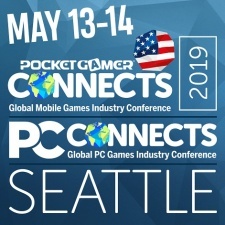 PCGamesInsider.biz is proud to announce some of the names who will be sharing their insight on-stage at PC Connects' debut in the United States this May. Unreal Engine Evangelist Christian Allen will be speaking for Fortnite firm Epic Games, while the former president of United States video games trade body The ESA Mike Gallagher is also going to be gracing our stage. Valve vet Chet Faliszek is going to be discussing company culture and compensation, too. Meanwhile, fresh from his debut at PC Connects London 2019, Super Evil Megacorp global publishing GM Taewon Yun is going to be discussing the changes the industry is undergoing and the changes therein. Kari Toyama, senior producer at Take-Two's new publishing label Private Division - and a vet of both PopCap and Valve - is set to share her insight at PC Connects Seattle 2019, too. Finally, Bandai Namco's Karim Farghaly is going to be discussing the Japanese publisher's strategy to expand its expand its Western portfolio.